ANKARA, May 25 2014 (IPS) - The decision late Thursday by the Kurdistan Regional Government (KRG) to proceed with its first shipment of crude oil to Europe out of the port of Ceyhan in southern Turkey has received mixed reactions from all the parties concerned. What may be seen by the Turkish government as a blessing, at a time that faith in the future of the country’s economy is wavering, may prove a political curse in Ankara’s already troubled relations with Baghdad. It took less than 24 hours for the central government of Iraq to react to the news. Late Friday afternoon the Iraqi Ministry of Oil announced that it had “filed with the International Chamber of Commerce (ICC) in Paris a Request for Arbitration against the Republic of Turkey and its state-owned pipeline operator Botas, seeking to stop the unauthorised transportation, storage and loading” of KRG-originating oil to one of the two Iraq-Turkey pipelines, running from Kirkuk in Iraq to Ceyhan. In addition, Baghdad is seeking financial damages in excess of 250 million dollars from Ankara. 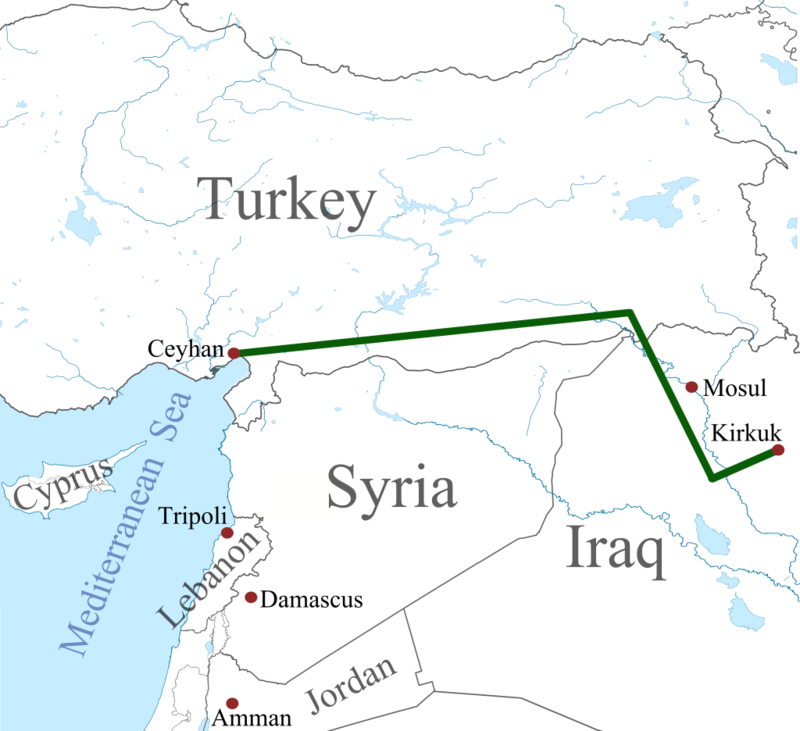 Under the agreement, signed in 1973 and amended several times, most recently in September 2010, Turkey and Botas undertook to reserve the entire infrastructure system for the exclusive use of the Iraqi Ministry of Oil, which retained the right to approve any and all uses of the 1,200 mile-long pipelines. 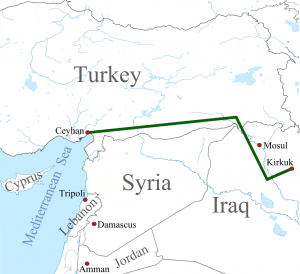 When in November 2013 Turkey announced the signature of a series of cooperation agreements with KRG, one of which contemplated the use of the Iraq-Turkey pipeline, Baghdad immediately protested that this was in violation of its agreement with Ankara. KRG is a ‘federal region’, according to article 117 of the Iraqi Constitution of 2005 and enjoys certain autonomy in matters not falling within the exclusive jurisdiction of the federal government of Baghdad (Article 121, first paragraph). It therefore seems that KRG and Turkey may have overlooked Iraq’s constitutional provisions in striking their oil transit and distribution deal. "What may be seen by the Turkish government as a blessing ... may prove a political curse in Ankara’s already troubled relations with Baghdad"
The crisis in the relations between the two states had been anticipated since November last year. The United States had put pressure on KRG’s Prime Minister Nechirvan Barzani and Turkish Prime Minister Recep Tayyip Erdogan to avoid antagonising further the Iraqi leadership. In February, Turkey’s Minister of Energy Taner Yildiz gave signs that exports from Ceyhan would not begin without Baghdad’s approval. With the Syrian civil war dragging-on and domestic unrest between Sunni and Shia factions in Iraq intensifying, the U.S. administration did not want to risk further complications in the region. Ankara’s interests also seem to support a business-like relation with Baghdad. Hours before KRG oil exports from Ceyhan began, the Energy Market Regulatory Authority of Turkey announced that in 2013 Iraq had ranked first in oil imports to Turkey, with a 32 percent share, a substantial increase from its 19 percent stake in 2012. The overlapping of interests, however, stops there. In spite of a temporary warm-up in political relations in 2008, which led to the signature of 39 agreements, the entente between Erdogan and his Iraqi counterpart Nouri al-Maliki has turned into mistrust and bitter exchange of blame, influenced by the sectarian politics which plague the region. The first clash occurred in 2009, when Baghdad issued an arrest warrant for its Sunni vice-president Tariq al-Hashemi, who was accused of planning to assassinate Shia leaders, including Maliki. Ankara refused to extradite Hashemi and offered him political asylum. Then came the Syrian crisis. Erdogan, a Sunni, openly and materially supported the rebels against the Alawite regime in Damascus, siding with Saudi Arabia and Qatar. The Alawites are a denomination of the Shia sect. Maliki, a leader of the Shia community, which represents 60 percent of the Iraqi population, did not take an open position, but got closer to Iran, an ally to Syrian President Bashar al-Assad. But Turkey’s chess game has two additional dimensions. The first is the Kurdish community of the country, mostly settled in southeastern Anatolia, which represents approximately 18 percent of the country’s 77 million population. Its outlawed Kurdistan Workers Party (PKK) has been seeking independence, often through armed action, which has resulted in the death of 40,000 rebels, civilians and security forces. In 2012, Erdogan masterminded a ‘peace process’, promising PKK freedoms that should lead to the recognition of the Kurds’ ethnic identity. PKK has retreated to the mountains in KRG territory and Barzani has been instrumental in maintaining a truce between the rebels and Ankara. Preserving the status is important for Erdogan’s Justice and Development (AK) Party in view of the Turkish presidential elections set for August. But a good relationship between Ankara and Erbil, KRG’s capital, irritates Baghad, which considers Barzani disloyal to the federal government and suspects that KRG will, sooner or later, press for complete independence. This possibility is also of concern to Turkey, which fears renewed separatist sentiment by its own Kurds. Financial success of KRG, through oil exports, may paradoxically become an accelerator in fuelling such development. The other dimension in Turkey’s regional plans is its ambition to become a world energy power, by establishing the country as eastern Mediterranean’s leading hub in oil and natural gas exports to Europe. Having damaged its relations with the European Union since 2009, Turkey sees a chance to become an indispensable partner of the West, not only in theory, but also in practice. Its geographical capability to provide safe transit for oil and natural gas from Iraq and, in the near future, from Israel and Cyprus to international markets, presents a strategic window of opportunity that it cannot afford to miss. Erdogan’s seemingly good relationship with the Russian Federation and Iran is based on realpolitik rather than affinities. In fact, Ankara would like to minimise its energy dependence on Moscow and Tehran by 2023. The countdown has already begun. Last year the share of oil imports from Iran and Russia decreased from 39 to 28 percent and from 11 to 8 percent, respectively. Following his recent electoral victory in the Iraqi elections, in which he secured 94 out of the 328 seats in parliament, Maliki is poised to return to the driver’s seat in Baghdad. In the absence of reconciliation, Ankara may have to revise its ambitions, given that Iraq has already built alternative routes for its oil exports, through its southern ports and Israel, while in the more distant future a normalisation of the political situation in Syria will offer additional options to oil and gas exporters.